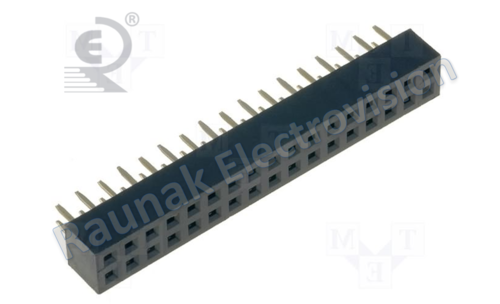 We are widely engaged in offering our clients wide gamut of Flow Solder Connector that ensures high efficiency. We are offering these products in varied standard sizes and are delivered as per the exact requirements and needs of our respected clients. We are offering these products at budget friendly prices. Founded in the year of 1996, Raunak Electrovision is a renowned manufacturer and supplier of wide range of Electrical Products. Our product range comprises of Wire to Wire Connectors, Wire to PCB Connectors, D- Sub Connector, Flow Solder Connector, Heat Shrink Sleeve, Wire Harness, Terminal Blocks, Panel Assembly, Electric Connector, Mini Jumper Electrical Connectors, Electrical Wires, Flat Cable, Box Header, FRC Connectors. With motive to present top quality products to the purchaser, professionals manufacture these products utilizing premium quality material and highly developed technology. Over the years, we are meeting the requirements and stipulations provided by the clientele scaling from small to large business. The obtainable assortment of products is highly in demand for their industry approved design, long functional life, high efficiency, low maintenance and affordable price.